This entry was posted in Faith, Identity, Theology and tagged blab it and grab it, does God answer prayer, does God heal, is it God's will to heal, name it and claim it, word of faith by garrettjmilovich. Bookmark the permalink. Amen. Good word. 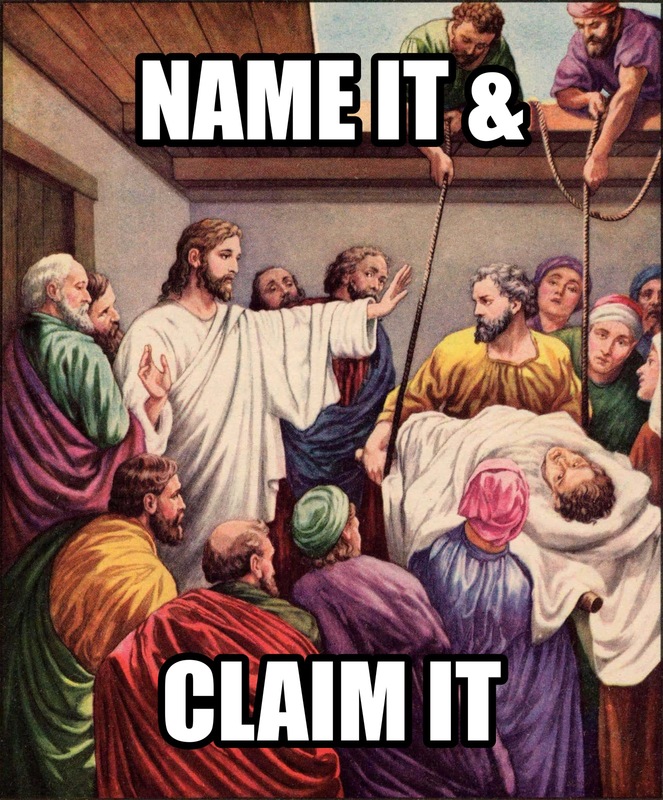 The funny thing is, blood-bought Christians are naming and claiming and declaring things all the time (“My back is killing me” or “I’m a dirty no-good sinner” or “God gave me this cancer,” etc.) and all those things directly contradict God’s Word. So why not declare what God actually says about us and for us? I heard somewhere that all the promises of God are in Him yes and amen. Sounds like God is into name and claim it!